TACOMA, Wash., Dec. 5, 2018 /PRNewswire/ -- IONIC, Inc., a premium cannabis oil company with a presence in both Oregon and California as well as Washington state, plans to increase safety protocol that will facilitate the elevation of standards in the state of Washington. IONIC encourages Washington state LCB to enforce stricter screening standards for pesticides by demanding Producers and Processors from whom they purchase raw material test — at every step of the process — all of their outbound products to the retailer and consumer. IONIC's new testing procedures will ensure the highest quality and safety standards across the industry in the state. Retailers will receive full transparency of this process, including but not limited to public test results on every batch. IONIC is challenging not just themselves but every single actor in the cannabis industry in the state of Washington to raise the bar and demand stricter testing across the board. "If a batch doesn't pass our IONIC Certified Clean standards, it won't leave our facility. The cost for such testing is expensive, but the IONIC team is undeterred by that. It is morally necessary to protect our customers and our plant. We already implemented this testing as a Standard Operating Procedure starting November 21st," says IONIC CEO John Gorst. IONIC has been crafting premium cannabis oils in legal markets since 2012. 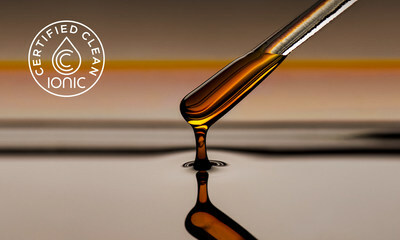 IONIC's oils offer a safer alternative to combustible consumption of cannabis, with branding reflective of the industry's shift to luxurious products. IONIC products can be found in over 150 stores throughout Washington state, Oregon, and California, and are continuing to expand with the demand from their consumers. For additional information on IONIC, Inc., call [(253) 248-7920] or visit ionic.social.